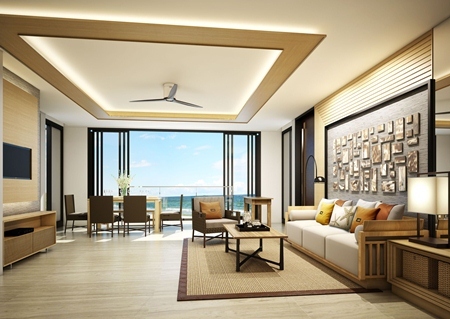 Amari Estates invites prospective property owners to visit the Amari Residences Phuket Showcase taking place in the lobby of the Amari Orchid Pattaya from now until Sunday 21 July, 2013 from 10:00 a.m. until 6:00 p.m. Following the hugely successful property showcase held in Bangkok last month, Amari Estates has extended the pre-sale prices offer to residents of Pattaya and the Eastern Seaboard. 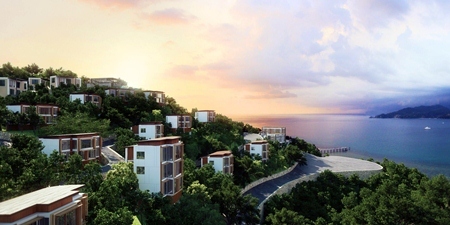 Starting at THB 6.9 million, with a guaranteed 6% yield for three years, interested parties registering their interest with a down payment of THB 35,000 deposit will be entitled to enjoy a holiday package for two to personally view the hotel-branded residences show suites in Phuket before making their final decisions. In addition, SCB Platinum credit card holders will enjoy additional promotions such as X5 SCB reward points on the reservation and contract signing fee, as well as a 0% interest for 6 months on the contract payment. When complete at the end of next year, Amari Residences Phuket will comprise of 148 spaciously laid out one, two and three-bedroom residences and 12 pool villas situated on a prime coastal site above Patong Bay – Phuket’s most expensive location where land prices average THB 120 million per rai. Each unit will be luxuriously furnished by Chanintr Living. Architecturally designed as two and three-storey low-rises offering 270 degree panoramic sea views from every unit, the project was awarded “Best Architecture for Multiple Residence” at the Asia Pacific Property Awards in early May this year. Peninsula with private beach and private jetty along Patong Bay.